Linda Faye Harper Roberts, 75, passed away Wednesday, January 16, 2019 at Kitty Askins Hospice Center surrounded by her loving family. Funeral services will be held Friday, January 18, 2019 at 7 p.m. in the chapel of Howell Funeral Home & Crematory in Goldsboro. The family will receive friends after the services and other times at the home. A graveside service will be held Saturday, January 19, 2019 at 11 a.m. at Elmwood Cemetery in Fremont. Mrs. Roberts was born on May 13, 1943 in Greene County to Albert and Lillie Mae Harper. She was 1 of 12 children. Linda graduated from Snow Hill High School where she held the title of Miss Snow Hill (’61) and the title of most points scored in a ladies basketball game for many years. After receiving a degree in Elementary Education from Atlantic Christian College, she was employed by Wayne County Public Schools until her retirement in 1998. 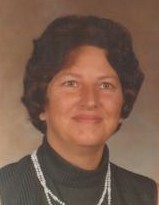 Throughout her life, Linda and her family provided Wayne County with bell peppers from their farm. She enjoyed spending time with her beloved dog Pepper, beach fishing, and playing bingo. Left to cherish her memory are her husband of 54 years, Joseph, their daughter, Donna and her spouse Doug, their sons, Joseph Jr. and Michael Roy and his spouse Dianna, and her 4 grandchildren: Emily and her spouse Brook, Chandler, Brandon, and Paul; her brother, Harold Harper and wife, Arlene of Snow Hill; two sisters, Carol Coffee of Leland and Ann Hart of Shines Crossroads.